Famous magician and escape artist Harry Houdini knew a thing or two about fooling crowds. So, at the turn of the 20th century when people became obsessed with trying to communicate with the dead, he was more than a little skeptical. He began to question the claims of the spiritualists, mediums and psychics who were popular celebrities. From ghost photography to séances, from table rapping to levitation, Houdini used his special knowledge to uncover flimflammers, rogues and charlatans. Chock-full of vintage photographs and graphics, this real-life story is even more incredible than Houdini’s amazing illusions. 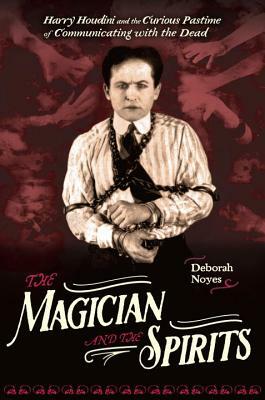 Deborah Noyes is the author of nonfiction and fiction for young readers and adults, including Ten Days a Madwoman, Encyclopedia of the End, One Kingdom, and The Ghosts of Kerfol. She has also compiled and edited the short story anthologies Gothic!, The Restless Dead, and Sideshow. You can learn more at deborahnoyes.com and follow her on Twitter @DeborahNoyes.